I appreciate the time you’ve taken to visit this site and find out more about Premier Dental Care of Columbus, my team, and the many dental care services we can provide to help you achieve optimum oral health. Dr. Sabitha Parasa is a general dentist with a special interest in Oral Conscious Sedation Dentistry. Conscious Sedation offers a relaxed, safe , pain-free experience through the use of oral medication taken the night before and the day of treatment. By offering this alternative to conventional dentistry we are able to provide a perfect solution for patients who shy away from the dentist due to anxiety or time constraints. Dr. Parasa graduated from Boston University School of Dental Medicine in 2000. Continuing to expand her skills and dental knowledge by completing hundreds of hours of continuing education, as a member of Academy of General Dentistry. 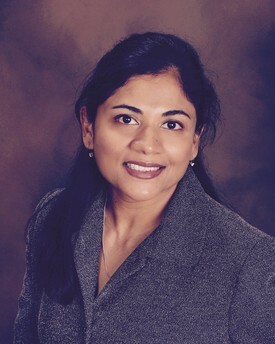 After graduating from Boston University School of Dental Medicine in 2000, Dr. Parasa practiced General Dentistry in New England for 5 years, before moving to Ohio. Currently she has been practicing in Columbus area for the past 11 years. Dr. Sabitha Parasa understands the importance of having a dentist you can trust and believe in, and she has been dedicated to providing excellent, comprehensive and comfortable care for her patients for more than 15 years. She will listen to your concerns and expectations and take the time to explain your dental care. One of the feedbacks Dr. Parasa often hears from her patients is about the right diagnosis and her Gentle touch. One of her greatest rewards is helping patients who have been in pain and returning them to health with a great dental experience. Dr. Parasa is active in other professional societies, including the American Dental Association, Ohio Dental Association, Columbus Dental Society and the Academy of General Dentistry. Dr. Parasa believes Central Ohio is a great place to raise a family, she enjoys spending her free time with her husband and two boys.